Our Signature program was specifically created for those suffering from a chronic illness or for those with a more complicated case history. These are patients who have been bounced from doctor to doctor and still have no answers or improvements in quality of life. Our Case Review was specifically created for those suffering from a chronic illness or for those with a more complicated case history. These are patients who have been bounced from doctor to doctor and still have no answers or improvements in quality of life. This is a very comprehensive approach that leaves no stone left un-turned. The Signature program was designed specifically for the person who is suffering with any of these conditions or multiple conditions at the same time. The way that Dr. Hagmeyer works with patients differs considerably from the conventional medical model you have been accustomed to. Our office focuses on Holistic and Functional Medicine. Dr Hagmeyer does not prescribe medication, nor are we to take the place of your Primary Care physician. Instead, we will focus on the root cause of your health problems by implementing a Holistic Functional Medicine approach. Functional Medicine looks at how to nurture your body back to health with diet, nutritional supplementation, lifestyle changes and education. It is empowering the patient. Please read the following information thoroughly to familiarize yourself with the initial process of becoming a Signature Program Patient. The Case Review is the first step for all new patients with complex health problems. This is where Dr Hagmeyer will really dig into your health story. This is where all the details of your life matter! This is your chance to share your life-story and give Dr Hagmeyer a glimpse into your daily struggles, and stressors. We ask that perspective patients type up a health narrative based on specific questions we have put together to help guide you. Ultimately, this is your story and your opportunity to tell Dr Hagmeyer everything you want him to know about your health. 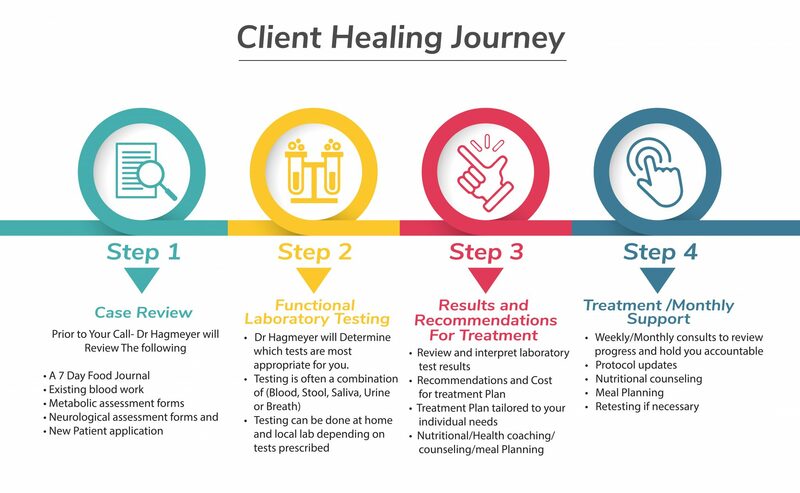 By reviewing your past testing, dissecting your health history, reviewing a 7 day food diary, Metabolic Assessment questionnaires, Neurological Assessment questionnaires, Dr Hagmeyer will start connecting the dots and determine the most appropriate lab testing to uncover where your problems are rooted. Save You Money and Time in the long-term by performing the RIGHT diagnostic testing right out of the starting gate. This way we can see how the missing health pieces of your health fit together and speed up the healing process. Identify specific metabolic imbalances and best way to approach these imbalances. Determine if our office is a good fit for you over the long-term. Determine Cost of Testing or Treatment Program. This initial 60-90 minute appointment is designed to make sure that we have all of the information needed to gain a comprehensive understanding of the many factors affecting your health. As part of the Case Review, a New Patient Coordinator will provide you with the health history paperwork to complete. It is important that you spend time and energy completing these intake forms, as they become the cornerstone of future testing and treatment. Note: We do feel that it is important for us to review previous labs and records. Please provide and submit any blood work and testing (last 6 months) to our office with your New patient application. Dr. Hagmeyer will review these at the time of your Case Review. Dr Hagmeyer only accepts a limited number of patients per month into the signature program. This ensures that our patients get the quality of care they deserve and the time they need. After Dr Hagmeyer has familiarized himself with your New Patient Application, Health Records, Past Testings, Metabolic Assessment forms, Neurological Assessment form, Health Narrative, and 7 day food diary, Dr. Hagmeyer will prepare a report for you. Review your past test results and metabolic patterns and what was discovered or missed by past doctors. Review the recommend Functional laboratory Testing, specifically tailored to your personal case and your health goals. Review the costs of testing and or treatment plan. Step Two or “Report of Findings” visit is a 60 minute appointment with Dr Hagmeyer. It is important that you have access to a computer for this consult because Dr Hagmeyer will be using a screen sharing program- that enables you to see Dr Hagmeyer’s computer screen and report. How Much Does The Case Review Cost? The Total for the Case Review (Records review and Report of findings) is $595. What Kinds of Tests will Dr Hagmeyer Recommend at My Report of Findings? This depends on your needs, goals and the kind of help you are looking for from Dr Hagmeyer. Due to customized nature of our program, each patient and the testing that a patient needs, varies. Dr Hagmeyer does not practice cook book medicine nor does he have a cookie cutter approach to testing. 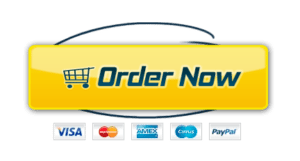 IS TESTING AND TREATMENT WITH DR. HAGMEYER AFFORDABLE? YES. We are very sensitive to our patients needs and understand that the majority of testing needed in chronic complex cases is not covered by insurance. This is why we spend the time we do during the initial case review process to understand your needs and goals. By understanding your case from the very beginning, we can eliminate any unnecessary testing, saving you time and money. Most treatments will fail if the correct tests are not done or interpreted correctly. Everyday I review tests of new patients where the wrong testing was done. The purpose of testing is to provide a road map to healing. The wrong tests will lead you down the wrong treatment path. With over 20 years of experience, Dr Hagmeyer will order the correct testing. It also very important to realize that every case is different. We do our best to limit testing to the areas that will provide the greatest amount of objective data. Without testing- we are guessing are your health. Are you comfortable with doctors who don’t run the correct testing and treat based on symptoms? If you want to get to the Root Cause- The case review is your starting point. How Would Your life Be Different If Your Health problem Was GONE or significantly IMPROVED Like these Patients? What could you Do? Who could you BE? What Could you HAVE? Be Our Next Testimonial! We Would love to be a part of it.